Here we offer a list of vegetables with pods, a group ready to star in salads and/or dinner pots. Whether or not you're pursuing a vegetarian diet, these veggies can add nutrition and variety to your diet. Asparagus pea: See Winged bean. Azuki beans: An annual vine widely grown throughout East Asia and the Himalayas, the azuki bean yields a small bean. Although those beans are often red, they are also found in white, black, gray and variously mottled varieties. Often made into a sweetened paste (known as red-bean paste) used in many sweet and/or savory Chinese and Japanese dishes. Black beans: This small and shiny black bean, sometimes called the “black turtle bean,” is especially popular in Latin American cuisine. Rich and robust, it also fits well into a vegetarian diet. If you’re unfamiliar with this bean, please note that it stains both clothing and pots. Chickpeas: Also known as garbanzos, chickpeas belong on any list of vegetables. A bean commonly grown in India, the Middle East, and the Mediterranean, when whole they often serve as a principal ingredient in soups and salads or, when mashed, in hummus. Ground beans are used to make falafel and chickpea flour. flour. Try this great recipe for socca, a wonderful crepe made from chickpea flour. Common beans: See green bean. Drumstick beans: Fairly common in South Asia, these "beans" are the yield of a tree whose immature pods, seeds, blossoms, and leaves are all edible when properly prepared. In some areas, mature seeds are pressed for oil. Fava beans: Also known as Broadbeans, fava beans are a legume native to Asia and Northern Africa. They’re also widely cultivated and used in Chinese, English, Mediterranean, and Middle Eastern cuisine. Fava beans are often used when fresh and green; they can also be dried, canned, or frozen. Be sure to remove the tough outer shell before cooking the beans. Goa bean: See Winged bean. Green beans: no veggie list would be complete without the green (or string) bean. These long green pods taste great raw, sautéed, blanched or lightly steamed, and even roasted. No garden or refrigerator should be without some! 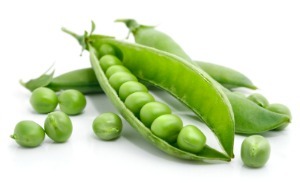 Green peas: Grown in pods, green peas typically mature in an oblong green shell. In most cases the shell as well as the peas are edible, although many people eat mainly the round inner peas. Tender and sweet, they taste wonderful as a side dish or added to salads. Guar beans: Native to India, the guar bean (also known as cluster bean) is widely grown in warm and arid regions. Its tender green pods are harvested for use as vegetabes. 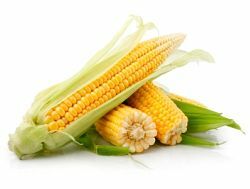 Mature seeds are crushed and turned into flour, known as guar gum, which is used as a thickening agent in food, paper, and textile industries. Horse gram: [from Foodista] “The horse gram (Dolichos biflorus) and the bonavist bean, native to India, are related, large, tropical climbing plants, the immature seeds of which are commonly used for food in Asia. The dry seeds are large, dark to black, nearly round to slightly flattened and elongated.” If you can add to this, please drop us a line. Indian peas: a legume commonly grown for human consumption and livestock feed in Asia and East Africa, it is also known as grass pea, blue sweet pea, chickling vetch, Indian pea, Indian vetch, white vetch, almorta or alverjón (Spain), cicerchia (Italy), guaya (Ethiopia), and khesari (India). [from Wikipedia]. Kidney beans: Another workhorse on any list of vegetables is the kidney bean. A dark-red bean of medium size (and shaped like a kidney), it’s often used in Creole cuisine and also in chili recipes. The kidney bean's rich color and pleasant taste often guarantee its inclusion in three-bean salads. Click here to check out a recipe for kidney bean stew with a peanut sauce. Lentils: Small and disk-shaped legumes, high in both fiber and protein. They’re eaten either whole or unhulled (with the skin still intact) or split in half with or without their skins. Lentils are very low in fat but rich in protein and fiber. Colors range from brown to yellow, black, orange, green, and (apparently) white. Lima beans: Also known as butter beans, Lima beans are pale green, broad, and fleshy. They’re often served (without their pods) as a steamed and buttered side dish. Moth beans: (apparently pronounced “moat bean.”) The moth bean plant, ground-hugging and only about a foot high, resembles a small mat. The densely matted branches have deeply notched leaflets on long leaf branches, which bear bright yellow flowers. These develop into short and smooth pods of a yellowish brown color, which contain four to nine seeds about the size of a large grain of rice. The seeds are soaked and sprouted for use in salads, missal, or usal. Okra: You can find a description of okra at the "green and leafy" page. Pinto bean: In Northern Mexico and the American Southwest, the delicious (and smallish) pinto bean rules! Speckled when dry, pintos assume a uniform brownish color when cooked. Although they’re sometimes served whole, they are often mashed and fried—as in the classic “refried beans.” Total bliss. Ricebean: A somewhat exotic entry on our list of vegetables is the ricebean. It's a small bean, which Wikipedia shows as maroon. The rice bean is grown particularly in hill areas of Nepal and northern India, where it is valued for its rapid maturing (60 days). Snow pea: A variety of pea eaten in its tender and delicately flavored pod while still unripe. Its name may come from the snow pea’s tendency to grow at the end of winter, just before the last spring freeze. Even covered with snow, the plant keeps growing. It's refreshing taste should put it on everybody's personal veggie list. Soybean: A native of East Asia, although now grown in many areas of the world. These protein-rich beans serve as the principal ingredient of such products as tofu, miso, tempeh, texturized protein, and soy milk, among others. Immature soybeans (edamame) are boiled whole in their green pods. It is generally recommended that soybeans be cooked with “wet” heat to kill trypsin inhibitors. Sugar snap peas: A sweet-flavored pea eaten raw or lightly cooked in its crisp and tasty pod; looks much like the green pea and is stupendous in salads and as a "dipper." Tarwi: [from Wikipedia] “Lupinus mutabilis is a species of lupin grown in the Andes for its edible bean. Vernacular names include tarwi, tarhui, chocho, Andean lupin, South American lupin, or pearl lupin." (Click to see a photo of this pretty plant.) Containing more than 40 percent protein and only 20 percent fat, the bean (which looks much like a cannellini bean) has been eaten in the Andes for centuries. Its soft seed coat makes it easier to cook than some beans. Tepary bean: Native to the southwestern United States and Mexico, the tepary bean has been grown there by indigenous groups since pre-Columbian times. For them, much of the bean’s value may lie more in its drought resistance than in its taste...although motherearthnews.com (July/August 1983) does claim its flavor to be “sweet and delicate” and that “the legume lends itself well to almost any recipe in which more common beans are specified. Teparies are not eaten green; instead, let the pods dry on the vine, and then harvest their kernels when they're orange-brown. After soaking, cook them like other dry beans. (Other names for this native bean include Pawi, Pavi, Tepari, Escomite, Yori mui, and Yori muni.) “Recent studies from the United States and Mexico suggest that lectin toxins and other compounds from tepary beans may be useful as chemotherapy for treating cancer...” [Wikipedia] I may take a pass on these myself. Urad beans: “are little black beans with creamy white interiors, used in cooking across South Asia. Whole Urad bean is used mainly in stews and soups. They derive their strong, rich, earthy flavor from the black skins, which have an uncanny ability to absorb flavors.” [Foodista] Also known as urd, black gram, and black Beluga lentils. I think these would be different from the black beans we’re used to in North and Central America. Velvet bean: An annual climbing shrub of the tropics that at a certain stage of growth is covered with fuzz (hence, I assume, the “velvet”). Although it apparently has some medicinal qualities, it may not be a veggie we’ll put on our tables anytime soon. Yardlong bean: Despite their name, the pods of the subtropical/tropical yardlong bean are actually only about 18 inches in length. Beginning to form just 60 days after sowing, these pods hang in pairs and are best before reaching full maturity (while still slender). The crisp, tender pods—eaten both fresh and cooked—are sometimes cut into short sections for use in stir-fries, etc. Or they can be chopped into very short sections to toss into an omelet. And that’s it for this particular podded-veggie list, although we will have missed some. So—if there’s a veggie you think belongs here, please get in touch. Meanwhile, for a look at a list of green-and-leafy vegetables, click here; for veggies that flower and bear fruit, click here.